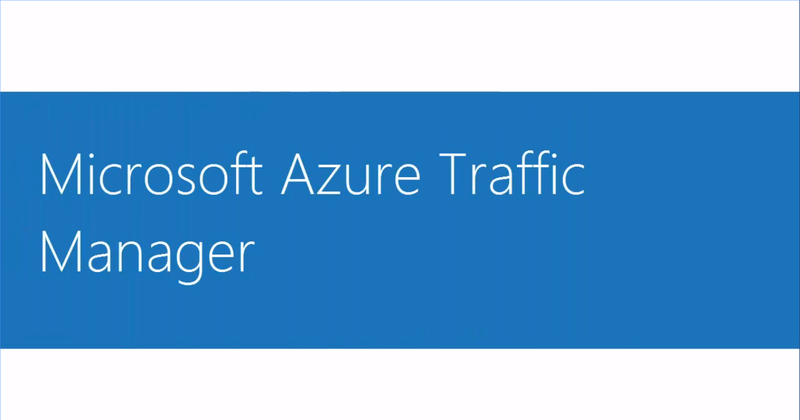 Azure Traffic Manager is a load balancer that can be used to optimize traffic flow within Azure services. 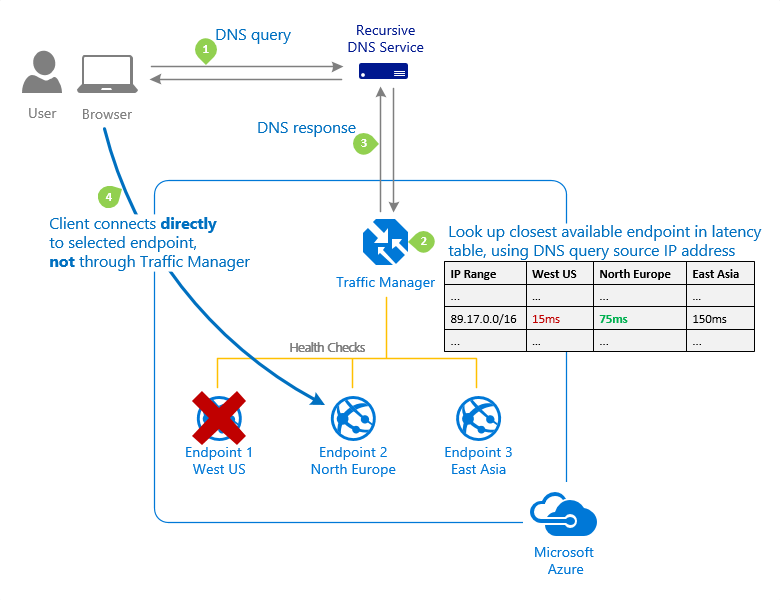 The Traffic manager operates at the DNS level, sending traffic in the direction specified in the routing policy set by the client. The service offers several benefits including automatic endpoint failover which in turn reduces application downtime, increased application responsiveness, improves content delivery time, ability to combine on-premise and cloud systems, monitor traffic volume, identify traffic patterns and content localization to help meet regulatory requirements. What types of traffic can be routed using Traffic Manager? 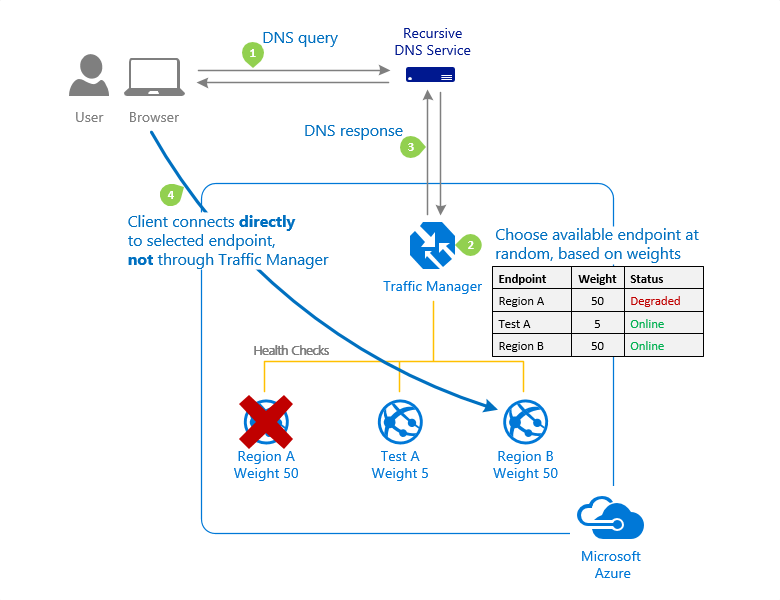 Azure Traffic manager uses six traffic-routing methods such as Priority, Weighted, Performance, Geographic, Multivalue, and Subnet. 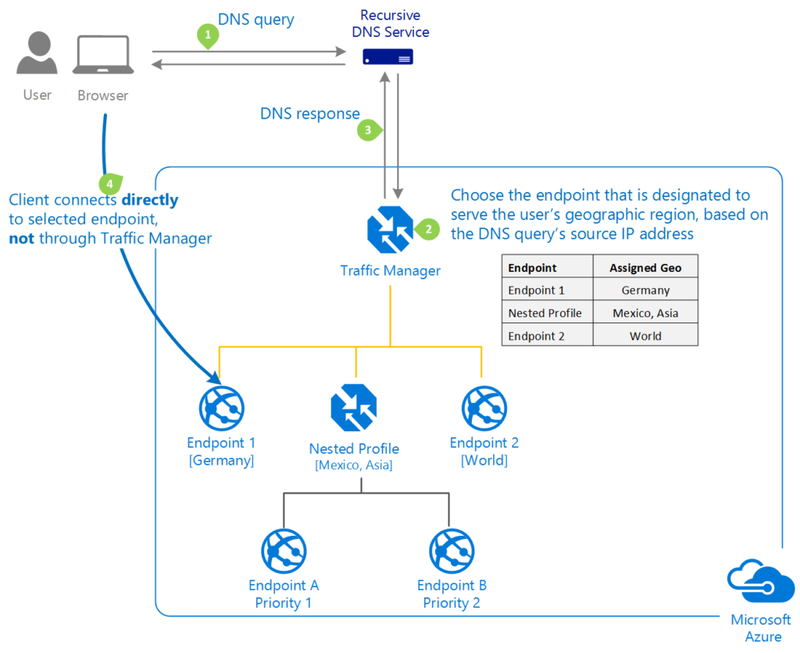 Customers can also nest Traffic Manager profiles to combine the benefits of multiple traffic-routing methods. Performance Routing: Useful when there is a primary service endpoint for all traffic. Performance: Reduce latency by directing traffic to the closest endpoint. Multivalue: Usable only with IPv4/IPv6 addresses as endpoints. 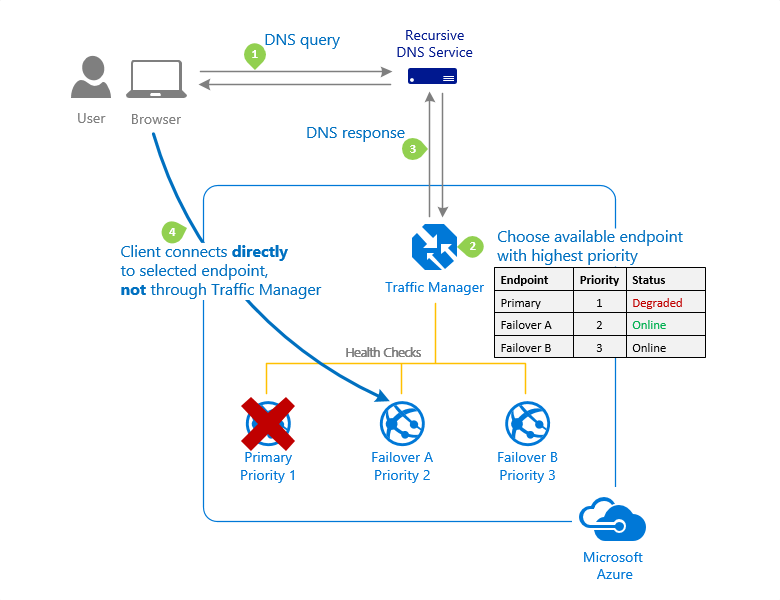 This method allows the user to get multiple healthy endpoints in a single DNS query. The pricing depends on the number of – DNS queries received, monitored endpoints, user measurements received by the service and the data points used to create traffic view outputs. Azure offers discounts for services that receive more than a billion queries a month. Pricing for DNS queries and health checks remain the same for all traffic routing methods.